Villa Thousand Hills sits on its own above Ao Sane beach next to Nai Harn on the South-West coast, considered the best sunset spot in all of Phuket. With a 50m walk to Ao Sane beach the villa privacy and direct access to the sea make for the perfect combination. Nai Harn is considered the best beach on Phuket for families with flat water, easy snorkelling and no rocks. With complimentary transport always on standby all the island is within easy reach. Nearby beach towns Rawai & Kata are short trips with great choices of restaurants. - Rates are inclusive of all taxes & fees. Only provisioning costs plus 20% surcharged of shopping bill will be the Guest’s responsibility. Gratuities for household staff are encouraged and normal, but are left entirely to the Guest’s discretion. All bedrooms are ensuite and enjoy uninterrupted sea views. The Family Day areas enjoy breathtaking 180 views of the Andaman sea. 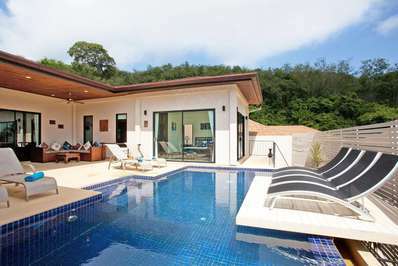 The villa is located 50m above and with direct access to Ao Sane beach which is one of the best snorkeling spots in Phuket, and only 800m from popular Nai Harn beach. A stocked wine cellar on standby to select from adds to those perfect sunsets and evening dinners with fresh sea air and the Andaman sea always around you. Located in Nai Harn Beach, Phuket. Villa Morakot is a in Thailand. 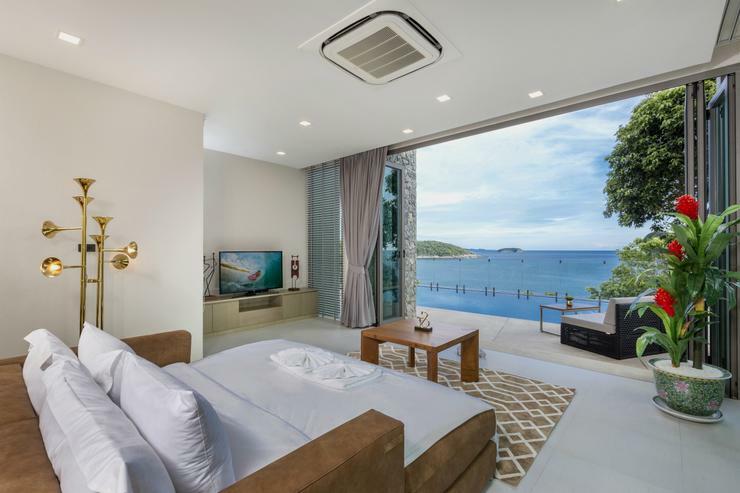 Located in Nai Harn Beach, Phuket. Villa Kaimook Andaman is a in Thailand.